Women have faced oppression and gender inequality throughout history. Yet despite overwhelming odds stacked against them, there have always been a brave few who challenged the status quo and wound up making great strides in a wide variety of fields. From ancient times to the present day, women have broken down barriers and emerged as influential and important political leaders, activists, scientists, writers, artists, athletes, performers, and more. 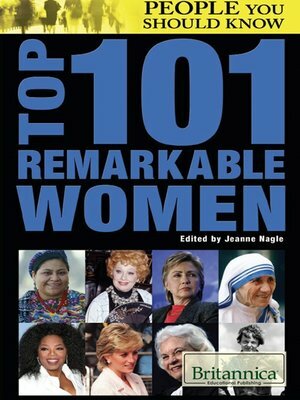 This volume chronicles the lives of many ground-breaking individuals—Cleopatra, Marie Curie, Amelia Earhart, Helen Keller, Harriet Tubman, and Oprah Winfrey among them—as well as the challenges they faced as they sought to improve the human condition.